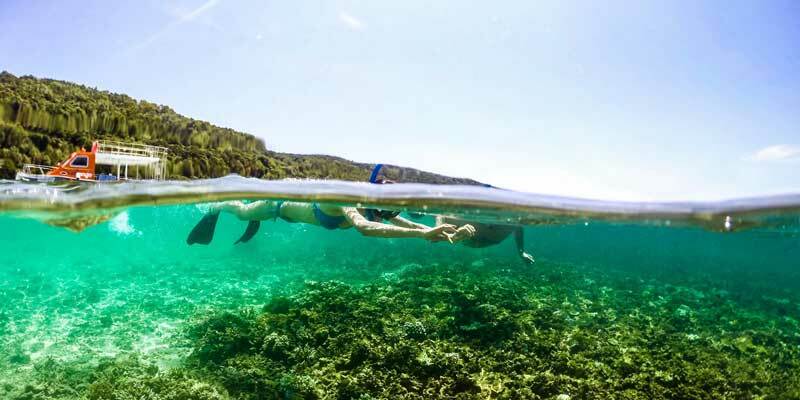 Feel the pull of oceanic magic, Snorkeling is the best way to Discover the beauty of the deep blue sea. Anyone can join in on the fun regardless of Age and Skill. Don’t know how to swim? Don’t even worry about it. 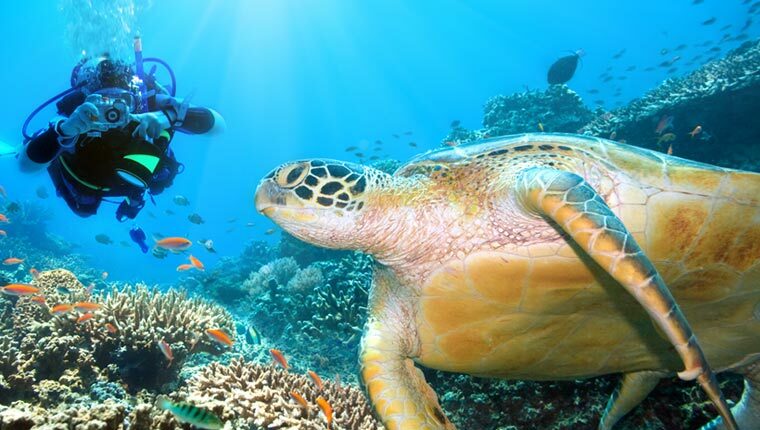 Snorkelers are given Snorkeling-vests, so all you need to focus on is having a good time, the Snorkel-vest will take care of everything else while you float at ease on the surface of the ocean. 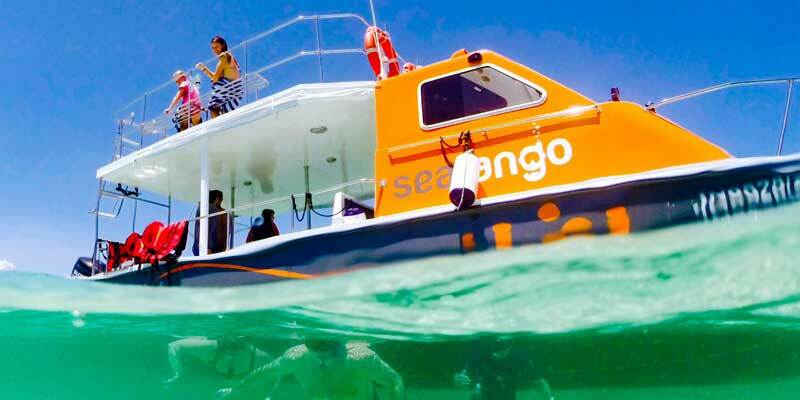 There are various snorkeling programs available to cater for the non-swimmer, beginner, intermediate and advanced snorkeler. Be greeted by the morning sun, your Pick-Up awaits at the Hotel Lobby. Upon arrival at the jetty, hop on our spacious catamaran for a 20 minute ride to the first snorkeling point at the TARP Islands. Gear up and get set for your snorkel session, accompanied by our experienced Dive Master. After testing out the waters, we move on to the second Snorkeling point, where more exotic marine life awaits. 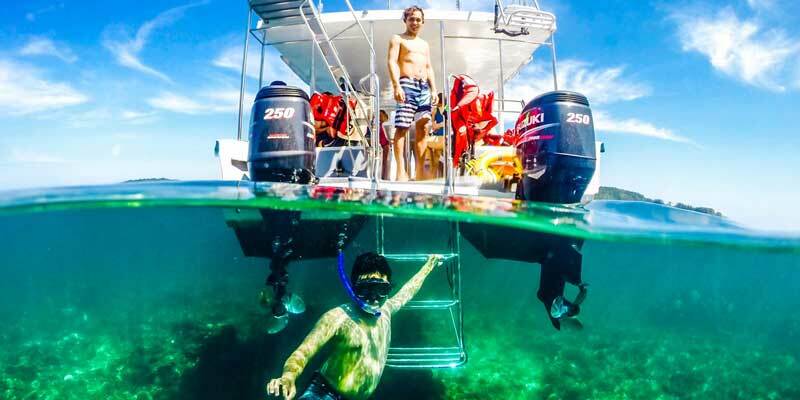 Spend a designated time snorkeling. After all the fun times in the water must have worked out an appetite. Time for lunch as you hop back onto the boat and get whisked to the nearby TARP island for lunch. After lunch, stretch out and relax… Its free and easy for the rest of the day. 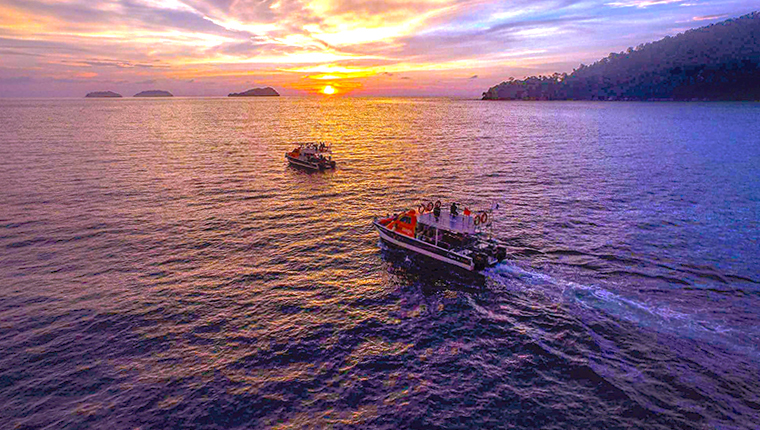 Around mid-afternoon, pack up, bid goodbye to the paradise and take the boat transfer back to mainland where your vehicle will drop you off back at the hotel. - Child rate applies for children between 3 – 11 years old. - Additional charges of MYR 30 per pax are chargeable for outskirt hotels pick-ups. 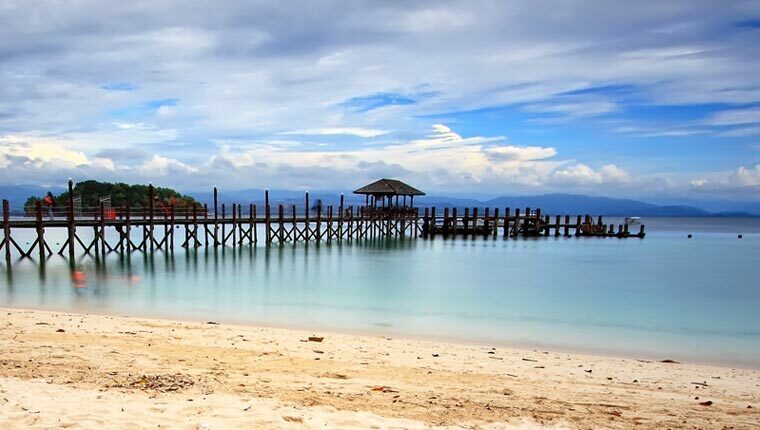 OutSkirt Charges Applicable for Hotels Outside of Kota Kinabalu City Area & One Borneo Area. While the jellyfish season varies, it usually occurs during mid of the year or/and end of the year. Do be extra careful and inform our guides should you be stung. Rest assured that our guides are first aid trained. Jelly bugs are common in the waters but they are usually harmless and their stings will just cause some slight itch. There are no lockers on the island. Please take good care of your own belongings and do not bring valuables. 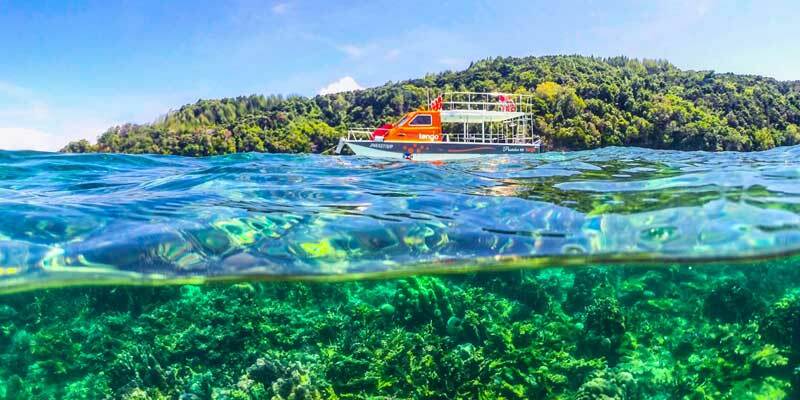 For any Island tour, if you're interested in water sports (ie banana boat, seawalking, parasailing, etc), be sure to bring along a little bit of extra cash as these activities are not included in our tour package.